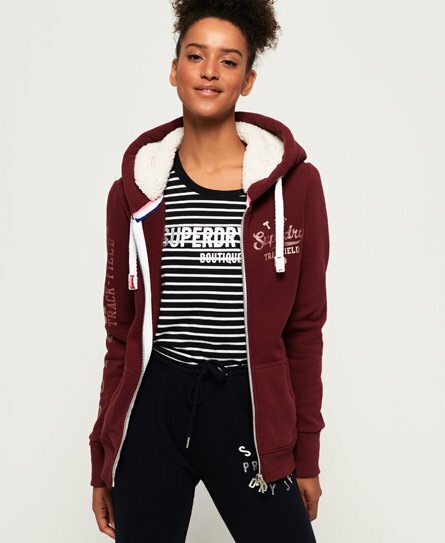 Superdry women’s Track & Field borg zip hoodie. This comfortable zip hoodie adds a laidback element to your outfit, featuring a soft borg lined hood with drawstring adjusters, a zip fastening and two front pockets. The Track & Field borg zip hoodie also features metallic Superdry logos down the sleeve and on the chest and a ribbed hem and cuffs. This hoodie is finished with a Superdry logo tab on the cuff.